Finding a perfect travel buddy is essential if you want to make the most out of your travels. There is nothing worse than having a travel buddy who spoils your trip and makes you feel miserable. You need to find someone complimentary, someone, who is open-minded and has a similar travel style. This list will help you determine if your chosen travel buddy has the right traits. If you and your travel buddy do not have the same expectations about your trip, then you can’t both enjoy your trip to the fullest. For instance, for you going to Indonesia can mean exploring ancients’ temples and hiking volcanoes and for your travel buddy, it can mean surfing all day in Bali and enjoying the sun at the beach. This set up would never work as one of you would have to adjust to the other. When you travel, almost always something goes wrong. You miss a bus, your watch gets stolen, you get lost in the middle nowhere, etc. If your travel buddy can’t get over these things quickly, it can ruin the trip for both of you. Traveling is about exploring places, cultures, and people. Some places can be chaotic or polluted, some cultures may have completely different values than you and not all people you run into during your travels can speak English well. Everything mentioned above is something which makes traveling enriching and a learning experience, not something your travel buddy should constantly complain about. Most of the time when you travel, you have limited time, so you want to make the most of it and move quickly from one place to another. Even though there is nothing wrong about that, sometimes travelers forget that traveling is not about visiting as many places as possible and taking pictures of everything but about enjoying the atmosphere and the moment. Your travel buddy should understand that and be able to slow down a little from time to time. If you want to make the most of your trips, you sometimes need to be flexible with your itinerary and plans. Not everything can be planned and often the best places or things to experience are discovered at your destination. Your buddy should be spontaneous and take advantages of these moments. Traveling can be dangerous or cost you a lot of money if you are not careful. You should plan ahead so you don’t walk late at night to the hotel at places not so safe and which you don’t know well. Your travel buddy should be aware of that and don’t take unnecessary risks. If you travel with someone who is willing to spend much more than you then you can get into quite uncomfortable moments during your travels. You don’t want to ruin the fun and say no to everything but at the same time, you don’t want your trip to cost you a fortune which you don’t have. Your travel buddy should understand your situation and don’t be too pushy convincing you to try or buy things. Even if you get along well with your travel buddy, from time to time you need to talk to other people too. 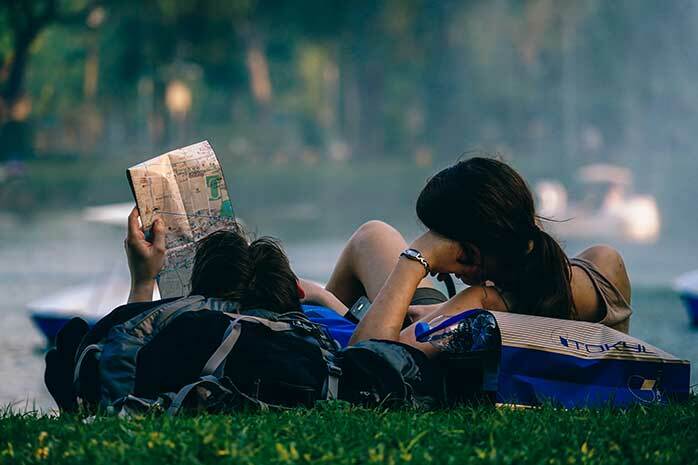 Your travel buddy should not always cling to you and should allow you to have fun with other travelers or locals as well. If you want to experience the local life, then hanging out with locals is the best thing to do and your travel buddy should not limit you. Trying local food is an essential part of any trip. Your travel buddy should be open to trying new food and should not insist on eating at McDonald’s all the time. Local food isn’t as bad as it sometimes looks. If your travel buddy is not willing to even try it, he should at least adjust to you from time to time. Traveling is a lot about planning and making fast decisions is important. Your travel buddy should help you out with the planning and should also be decisive. You don’t want to spend too much time deciding where to go next. It’s not just time-consuming but also stressful. Your travel buddy should be able to decide fast and not ponder about all the available possibilities. Well, there we go. When you travel it is important that you can be yourself and that you can do the things you like and which you want to do. If your travel buddy is limiting you in almost every way then your trip won’t be as enjoyable as it would have been if you traveled with someone who gets you more. Choose a person to travel with carefully!